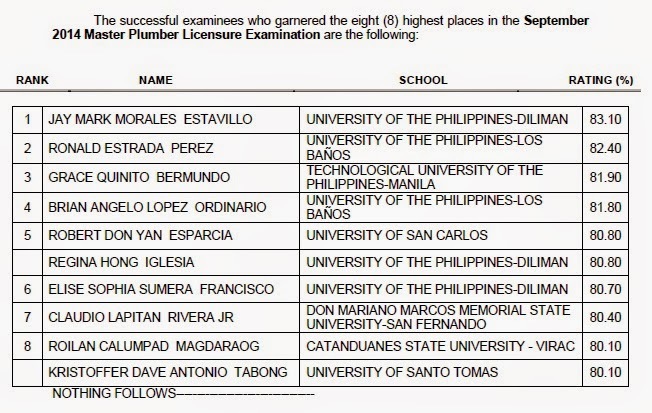 The Professional Regulation Commission (PRC) announced on Monday the complete list of passers for September 2014 Master Plumber board exam. Jay Mark Morales Estavillo of University of the Philippines (UP) - Diliman topped the board with 83.10 percent grade. A University of the Philippines Los Baños (UPLB) graduate Ronald Estrada Perez placed second with 82.40 percent grade.